Kites are (is?) a good topic for KP11. I'd like to do a couple of old school group shoots. 4 Bring any old school kites you have. What can you people bring? I hear Joel had a 19 foot delta. I'm open to other old school shoots. Suggestions? Lee, do you want to borrow the Vanishing Point? You can return it to me at KP12. I have a couple Warrior 2002's. I have at least 14 Sky Delight kites and 3 Betancourt kites I can bring. I hear Joel had a 19 foot delta. Dual line?? Or do you mean the SLK Raptor - listed as 20' but closer to 21' I have a pair in the different color layouts. Makes for a fun train. Pretty bulky to bring on the plane . . . . was wondering if you'd chime in on this thread since I know where you got the second one . . . . I'd like to see that train, if you are going to KPXI (and I can make it . . . not sure this year). If we're making requests, I think a bunch of Fire Dart-type kites would be cool. Also very important historically and the simple geometric design looks great. Maybe some Bees to one side. We'll sort it out there. Maybe sub-groups and then 1 huge shoot. Revs must be at least 10 years old. I'll make sure the really old ones come too. We should have a test of old skool skillz. Indeed. Sounds fun! I have at least 9-10 that would qualify or have already been mentioned. So what are we considering the cutoff year for old school? Allen: yes! That's definitely old school, unfortunately I sold all my Skynasaurs awhile back. Dean Jordan kites? 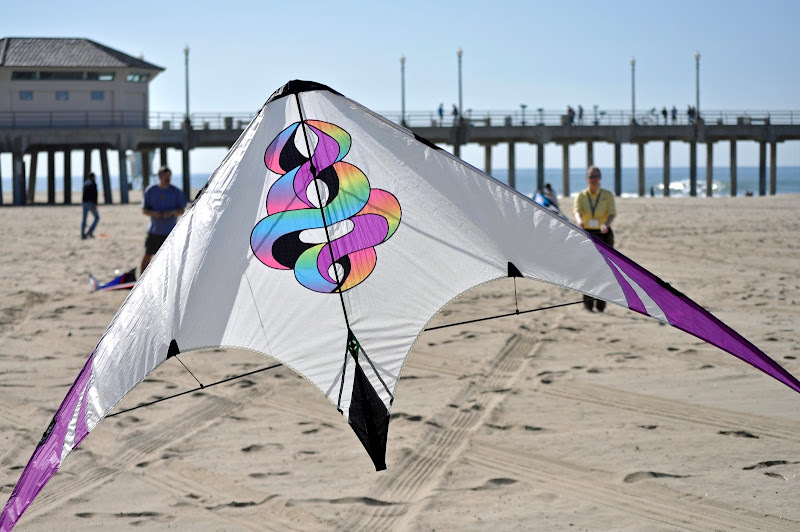 You could have narrowed it down to something other then any kite ever made or thought of.